In this category you can find professional hair styling products used by famous hair dressers around the world. Styling products allow you to do whatever you want with your hair. We offer high quality styling products guarantee by world-famous verified brands like L’Oreal Professionnel, Kérastase, Matrix, Goldwell, Schwarzkopf Professional, CHI, MoroccanOil, Revlon Professional, Z.ONE Concept, label.m, Londa, Redken, Wella Professionals, Macadamia etc. From day to day you can achieve fascinating curls with curl enhancer, or beach waves in one minute with salt spray. 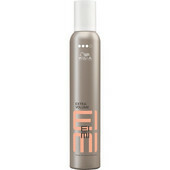 With straightening and smoothing products you achieve perfectly smooth and sleek effect. If you feel lack of shine, use shine enhancer. Is your hair fine, flat and without any volume? Bet on mousses, volumisers or powders which have the super power instantly boost the longlasting volume. The simillar effect you can also achieve with dry shampoo, which become your best friend especially on the go. Styling waxes, gels, clays, creams and pastes are the domain mainly of men or women with short hair. These products define the shape, adds texture, hold but also smoothing, shine or matte. They are perfect for crazy, structured hairstyles. Texturisers are ideal to add some texture and definition to the hair. Its versatile usage is also suitable for longer hair. If you style you hair regulary with heat tools – hair curler, straightener od hairdryer, you can't live without heat protection products. Finally, the last few moves with hairspray that fix the hairstyle for whole night. 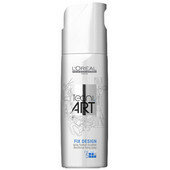 Get control over your hair with hair styling product.